Lithonia Lighting Square basket wraparound fixture features cold-rolled steel construction for superior structural strength. 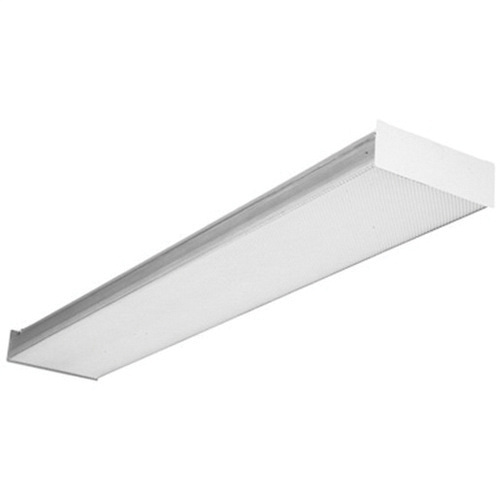 It uses four T8 fluorescent lamps and extruded clear acrylic diffuser to deliver 128-Watts of superior output. This thermally protected fixture is perfect for damp locations. It has a dimension of 48-Inch x 13-3/4-Inch x 2-7/8-Inch. Fixture is UL/cUL listed.